With Christmas approaching, it’s likely that you’re filling your final balikbayan box for the year. But are you sure that you’ve packed up everything important? That you have everything your family needs? Are you sure that everything in your box will safely go through customs? Just in case you’re not, below are a few tips and reminders to keep in mind while filling your balikbayan box. Keep in mind the total amount you have sent back home. 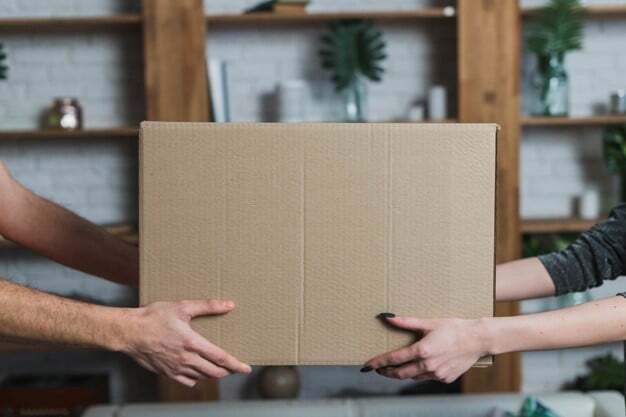 The first and likely most important factor to keep in mind is the total worth of all the balikbayan boxes you’ve sent home throughout the entire year. Remember, you are only allowed up to P150,000 worth of items unless you are willing to pay for the duty and import tax. Also, if the worth of your balikbayan box is equal or below P10,000 then it is no longer taxable. Ask your family what they need. While it might be fun to fill your balikbayan box with all the interesting things you’ve seen, it would be remiss of you to neglect your family’s actual needs. Before filling your balikbayan box, make sure you contact your loved ones and ask them what they need, be it a new pair of shoes for PE, or a replacement for a 7-year-old laptop. After all, that PS4 might seem fun, but will it help your son finish his thesis project? Fill your balikbayan box with food. With the rising prices of goods in the Philippines, you might want to consider sending over some food in time for noche buena. Pack some traditional fare from wherever foreign country you are, or some hard-to-get items, like novelty flavored noodles. Just make sure you stick to non-perishables and avoid liquids. Avoid putting glass in your balikbayan box. Unfortunately, it takes a long time for a balikbayan box to arrive in the hands of your loved ones. During that time, you won’t know exactly how the couriers are handling your precious cargo. Putting something made of glass inside is just asking for trouble, especially if it’s liquid-filled glass. But if you really, really need to, make sure you invest in lots of bubble wrap or cushion it between items like clothes or towels. Don’t stuff your balikbayan box with clothes. A few pairs of shoes, a dress, some pants, that amount is fine, but it’s such a waste to fill the entirety of a balikbayan box with just clothes. Even in the Philippines, clothes are a dime a dozen as long as you know where to look. Also, there’s a chance that the customs officer might consider such a haul for commercial use instead of personal. Never put money inside your balikbayan box. Different hands will be handling your box with you being none the wiser. Some unscrupulous individual might get the idea to do a ‘surprise inspection’ and see the cash. It’s infinitely better to stick to pasalubong items and keep temptation at bay. There are other, much safer ways to send money back home. One such way is by availing of Cebuana Lhuillier’s PeraPadala Service, where you are ensured an easy, quick, and safe way to send and receive money. With close to 2,500 branches nationwide and accredited international partners, this money transfer service is made available to clients within and outside the Philippines. So for our beloved OFW patrons, feel free to visit any of our international partners – we assure a fast, easy and secure transaction. For a complete list of our international partners, you may visit our website at https://www.cebuanalhuillier.com/pera-padala/.